Revealing Russia's demographic challenges with Ken Gronbach. Above is the link to my interview with Jim Blasingame from the Small Business Advocate. It was a good day out of the office! The weather was cold, but the welcome was warm in Southern Idaho recently, when I spoke to a group of business leaders and elected officials hosted by First Federal Savings Bank. I recently spoke at a Connecticut Commission on Children session for newly elected CT legislators. It was an encapsulated version of my standard presentation with a focus on Connecticut. I appear about ten minutes in and speak for about forty minutes. 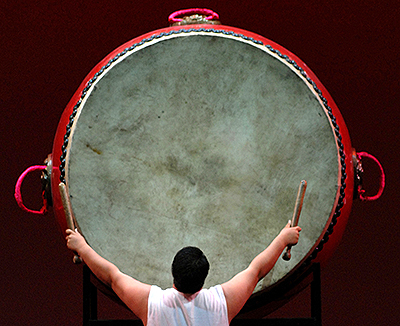 I’ve been banging a red drum about China’s disastrous one-chlld policy for a long time. In fact, my collaborators sometimes urge me to “lighten up” on the message that China’s 30-plus year policy of only allowing families to have one child not only failed to solve the problems it was targeted at, but will cause unavoidable social earthquakes as the effects of the policy persist. But as the problems of enforcing a below-replacement-rate social plan become more and more obvious, it gets harder to avoid the topic. While China’s official policy may at long last show signs of changing, the damage has already been done, and can’t be easily fixed by changing regulations. The silver lining will be opportunities for U.S. manufacturers and other market segments, which have already started to see results. But make no mistake, as China’s international influence has risen for its manufacturing capabilities, it will soon be known for a great weakness: its inability to care for its rapidly aging population. Want to know why China’s future is so problematic? My book, The Age Curve will fill you in. Generation Y is an interesting study in contrasts and should prove to be an exciting management challenge in a corporate environment. But before we can explore this incredible idiosyncratic generation let’s review a few of the demographic givens. Remember that Generation Y was born in the twenty years between 1985 and 2004 and is currently eight to twenty-seven years old. Generation Y is a nice bell shaped curve with its peak in 1990 when about 4.2 million live births occurred in the United States. Generation Y is actually bigger than the Baby Boomer Generation born 1945 to 1964 by over one million. It will easily rival the Boomer Generation in consumption and influence. Can we make some assumptions about Generation Y corporate behavior without pretending to be experts in psychographics? Yes, we can. Why? Because generation size relative to the size of the generation that precedes it precipitates predictable behavior, so demographics is the driver. Generation Y is a huge generation (79.5 million) that follows a small Generation X (69.5 million). This means that the job footprint left behind by Generation X as they advance past entry level into mid-career is too small to accommodate Generation Y as they enter the labor force en mass. Couple this with a down turned economy and Baby Boomers who should but can’t afford to retire and you have dismal job prospects for millions of Generation Y young people. This creates an employer’s market for the first time in twenty years and an environment where applicants are competing for positions. It would logically follow that the best and the brightest Generation Y applicants will accept skinnier offers, work harder, make fewer demands and in general be grateful just to get the job. Wonder why you are seeing attractive, blonde, blue eyed young women behind the McDonald’s counter for the first time in decades? It’s all about supply and demand. It was the exact opposite when Generation X entered the labor force twenty years ago following the huge Boomer Generation. For every ten jobs there were only eight Generation X applicants. This created an employee’s market where employers were forced to pay more for labor that was difficult to find and hire. This scenario sucked in entry and menial level immigrant workers like a vacuum and sent manufacturing off-shore. Boomers are immigrants in the cyber world. They know enough to get by but they speak with a thick accent. Generation X is bi-lingual. Generation Y is native born and moves about the cyber world with a natural ease. They will be able to hack weak employer IT systems routinely. They will shock their Boomer co-workers as they text each other during meetings. Email and telephone are embraced by Generation X and Baby Boomers but they are foreign to Generation Y. Generation Y will be stunned by a hand written thank-you note especially if it is written in cursive, which they cannot read. Hold a meeting at a quarter of nine and Generation Y probably won’t show because they don’t know what that or even the phrase “clock wise” means. Are the “times a changing…”, yes. Appearances will be a real issue. Yes, Generation Y does believe that their piercings make them more attractive and they are not concerned with the long term consequences of covering their bodies with vivid tattoos. They are also very aware that their hair is messed up. It is the way that they style it and so what if it is blue? Generation X and Boomers basically dress alike but Generation Y men will add a new look and fashion statement to the workplace, pants that are falling off. This might meet with some opposition. Generation Y will not be tolerant of intolerance. They do not see a difference in race, color or ethic origin. They don’t even think about it. They will commonly date and marry inter-racially. They will demand transparency from their employers regarding humanitarian and environmental issues and it will be impossible to hide anything from them. Even a Generation Y worker who really needs the job will probably not stay with a company that he or she considers mean spirited or disingenous. Consider this, Boomers will begin to retire by the millions as the housing crisis eases up and they can sell their homes and access their equity. This will create a void in the United States workforce in the mid and upper levels. Generation X, currently 28 to 47 years old, does not have the critical mass to satisfy the labor demand or fill the void. Employers will be forced to hire more Generation Y and accelerate their career advancement into mid-level and even upper-level management. Young people will manage older people and in some cases much older people. This will require special attention and training on the part of Generation Y managers in dealing with age related conflicts. The probability of a group of straight laced Boomers being managed by a young Generation Y woman with spiked green hair, covered in tattoos and multiple body piercings is not at all out of the realm of possibility. Should be fun. The United States’ Housing Market will Return in Three Years or Less! In 2007 we had about $14 trillion of equity in our homes here in the United States. Today we have about $7 trillion. This essentially has halted Baby Boomer retirement because their wealth is in their homes. This fact crippled the economy of the southern retirement states. In 2009 we discovered that we had allowed about 9 million mortgage loans to go south in the U.S.. Many of the loans, obviously, should not have been made in the first place.The big banks bought the bad loans with federal bailout money at a discount from the Feds and are foreclosing with a vengeance even though they promised the Feds that they would mediate with the home owners. Foreclosure, it seems, is more profitable than mediation. This process is holding the housing market hostage. That’s the bad news. The good news is the housing market problem is getting cleared up and we are starting to see little rays of light here and there. With a little help from Attorneys General in many states and a shove from President Obama the banks should have this crisis cleared up in two to three years. Maybe even less. Once this occurs the housing market will return on steroids because there is so much pent up demand. Houses will sell, values will rise and new construction will start anew. Baby Boomers will finally be able to sell their homes and retire to the warm southern states. This all bodes very well for the constrction industry and related trades. The people in the industry who have held on will print money. You heard it here. Q. Last year in an interview with the Hartford Business Journal, you said manufacturing is poised to make a comeback in Connecticut, not necessarily in a year or two, but in the future. You still holding to that belief? Absolutely, there is more and more evidence that manufacturing is making a comeback in Connecticut. For example we have a shortage of skilled labor. You don’t have a shortage of skilled labor if they are not in demand. Q. You talk about Generation Y becoming entrepreneurs. What does that mean for Connecticut? Is the population going to be in place to handle an uptick in manufacturing jobs? Generation Y will become entrepreneurs out of necessity, the mother of invention. Generation Y is facing 50% unemployment as they enter the labor market. The ones that don’t get hired still have to eat and they won’t be able to live at home forever. In addition, decent paying manufacturing jobs are going unfilled. How long do you think it will be before Generation Y figures out the paradigm shift and gets the training necessary to land a good paying manufacturing job? Connecticut has an abundance of Generation Y kids. This bodes well for the state. Q. Your perception of Generation Y differs from the common-held beliefs. 2012 seems like a prime time for Gen Y to break out. What can Connecticut employers expect? The big story will be the employer’s market. Connecticut employers will have their pick of the best and brightest young workers from the biggest selection in twenty years. The hungry Generation Y kids will bring a new dynamic to the workplace and put pressure on the small entitled Generation X, now 27 to 46 years olds. The message from Generation Y to Generation X is “perform or get out of the way.” Boomers in the workplace will love and identify with the spunky Generation Y workers. Boomers are 47 to 66 years old. Q. There’s an interview with you on your blog where you say, “Generation X did not opt for the technical careers that the Boomers did, like factory work, electricians, plumbers.” You predict factory work is coming back. What about the electrical and plumbing trades? Is Generation Y going into them in sufficient numbers? Vacancies in the technical trades spell opportunity. The trades are dominated by Boomers who are thinking about retirement and leaving the workforce at the rate of about one every eight seconds. You will not be able to hide this opportunity from the huge Generation Y.
Q. That same interview has another interesting observation, ” If you want to go experience Italy, you’ve got to go now, because in ten years you won’t be able to experience Italy. France is feeling it big time. The problem is that they forgot to have kids. Remember that people precipitate economics, not the other way around. Without people, you don’t have anything.” What part of the world is populating itself correctly? 2.2 kids per couple is a magic number. It is called replacement level fertility. When you fall below this number you risk not having enough heavy lifters (taxpayers) to provide for the young and the elderly in forty to fifty years. The European Union, Eastern Europe and all of Asia are demographic time bombs because they fell below and stayed below replacement level fertility for over thirty years and counting. Africa, India and the Middle East all have their own demographic issues. The United States and most of the Americas are doing it right. Australia is a poster child for healthy demographics. Q. Let’s take more a micro-look. How is Connecticut handling its population growth? How are the Millenials going to do when it comes time to follow Gen Y? What’s going right? Connecticut has a shortage of Generation X. They went away to school and stayed there. Connecticut has an abundance of Generation Y. The average age we marry for the first time in the United States is 26 years old. Generation Y will start to marry with a vengeance and stay here in Connecticut. This will coincide with an improved housing market, a commensurate drop in unemployment and the return of a vibrant state-wide economy. I remember my first PEMA® presentation a year and a half ago in Florida. Someone raised his hand and said “I go to Beijing all the time, looks fine to me.” It was an honest statement. But trust me Beijing is not fine. China cannot recover from what it has done to itself demographically with its “One Child Only Policy”. So what does this mean to PEMA® members? Should you bail from China now? No, make money while you can but don’t make long term capital commitments. Lease, rent and keep both eyes open because the Chinese house of cards is going to crash and burn. Many facts in this article are chilling, but you need to be aware of them. China’s economy is directly dependent on its demography. China has tampered with its demography to its own detriment. I just stared at the photo of the idle young Chinese men. It bothered me. I was missing something. How could there be 30 million more Chinese men than women. Sonograms are illegal in China. How did the parents know they were males? The answer is simple. They determined they were males when they were born. And if they were baby girls, well, they were disposed of. The baby girls were not aborted, they were killed as infants. Infanticide. I don’t have any place to file this information in my brain and apparantly the rest of the world doesn’t either, because no one talks about it. Let’s pretend it doesn’t happen. The Chinese approved press was volunteering the fact that there were 30,000,000 young Chinese men of marrying age that could not find wives. The reason given was the pervasive “One Child Only Policy” enforced by the Chinese high command for the last thirty one years. Males were obviously favored by Chinese parents under this rule because they were more likely to care for the parents in their old age according to Chinese tradition. Having a girl baby was bad luck because she was likely to eventually marry and care for her husband’s parents. China’s social security is family. There is no formal state sponsored financial safety net for the elderly. A typical symbol for a family is a pyramid. At the top you have a couple, and then you have a large number of children. Below them you have an even larger number of grandchildren and finally an even larger number of great grandchildren. Though this triangle may not always be played out in modern culture it has been the corner stone of societies through-out the ages. With their “One Child Only Policy” China has inverted the family pyramid. They call it “Four, Two, One”. Four grandparents are at the top, then two parents and finally one child. The child will have no brothers, sisters, aunts, uncles, nieces or nephews, no family. Being elderly without family in China is going to be very difficult. The thought of China rising to the position of the dominant economic world power and influencing world-wide public policy is frightening. From my perspective they have no moral compass. I recently heard President Obama expressing the desire to have the United States re-establish itself as if we had fallen in some way and turned the baton over to China. We haven’t and they are not even close. The United States GDP is about $15 trillion. China’s GDP is about $5 trillion. Germany is about $4 trillion and Japan is about $3 trillion. We have a bigger GDP than our nearest three competitors combined. What do we need to re-establish? China produces but cannot consume because their vast 800,000,000 work force is not paid at a level that facilitates consumption. In order for the Chinese GDP to increase the United States would need to consume more. Also it is not likely that China will call in their loans to the United States any time soon because we are their best customer. They need us. China officially boasts of preventing 400,000,000 live births in the last thirty-one years with its “One Child Only Policy.” In the short term this is an economic accelerant because China has not had to feed, clothe, educate or house the equivalent population of the United States and Mexico combined. In addition this afforded them substantial recognition at the Third International Conference on Climate and Water in Helsinki in 2007 for significantly reducing their carbon footprint. However from an economic perspective they have also significantly reduced their number of potential consumers, wage earners and tax-payers by 400,000,000. The full weight of this population reduction will play out over the next twenty to thirty years. Demographers worldwide believe the results will be economically catastrophic. China has other problems albeit not as horrific as the “One Child Only Policy”. Their currency must be allowed to fluctuate according to world market and the pressure is on from many quarters including the United States. As it stands now the value of the Yuan is artificially suppressed by the Chinese government. They just keep printing more of it to keep the value down. If you want to see the net results of this just go shop at Wal-Mart. If the Yuan was allowed to fluctuate as other world currencies it would double in value and everything in Wal-Mart would double in price. The Yuan will increase in value. It is just a matter of time. This will be bad news for China and Wal-Mart. Shipping costs are rising with the cost of oil. China produces lots of stuff but doesn’t consume much because they don’t pay their workers at Western levels. Shipping is critical to them because it is imperative to get their cheap goods to their consumers in the European Union and in the United States. As the price of shipping increases so will the price of their goods. Low price is the single biggest advantage that the Chinese producers have to offer. The Chinese will not go quietly. Watch for them to pull quality out of their products in an effort to preserve margins. Let’s hope they don’t capture too much of our food market before this really sets in or you can be sure they will have no reservations about poisoning us. If you think I am being too harsh in my forecasts, think again. The proof will be in the pudding. Sorry. 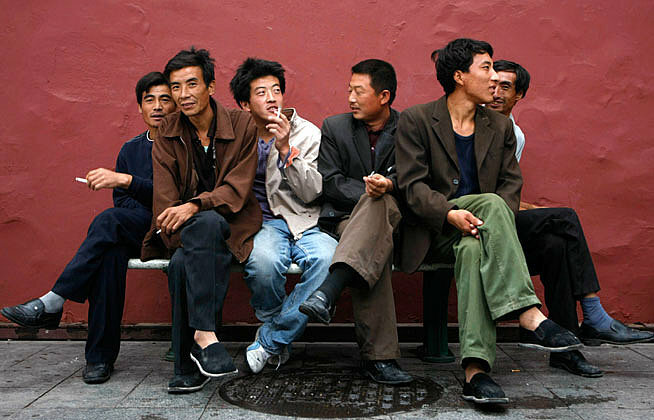 By 2016, the huge 800,000,000 Chinese labor force will begin shrinking. Less labor means higher wages. The Chinese are already experiencing labor shortages in isolated areas. When you compete for labor the employer’s market disappears and the employee’s market emerges. This should be fun to watch. China is very used to abusing their labor. Workers have been expendable for decades. That’s over. Labor costs should spike and tensions will increase. The price for Chinese made goods will increase and their desirability will decrease. The paper tiger will begin to unravel. China has polluted its water in its rush to economic prominence. So China has an acute shortage of potable water and an acute shortage of women. Russia has both. Russia should be concerned. The United States has 5 percent of the world’s population but we produce 25 percent of the world’s economy. We are the best place on earth and our best days are ahead not behind us! The best and brightest people from all over the world are going to pour into our country because the rest of the world, the European Union, Eastern Europe, the Middle East, Sub-Sahara Africa and all of Asia are going to be difficult places to live and because they want to be part of the success of the Americas.